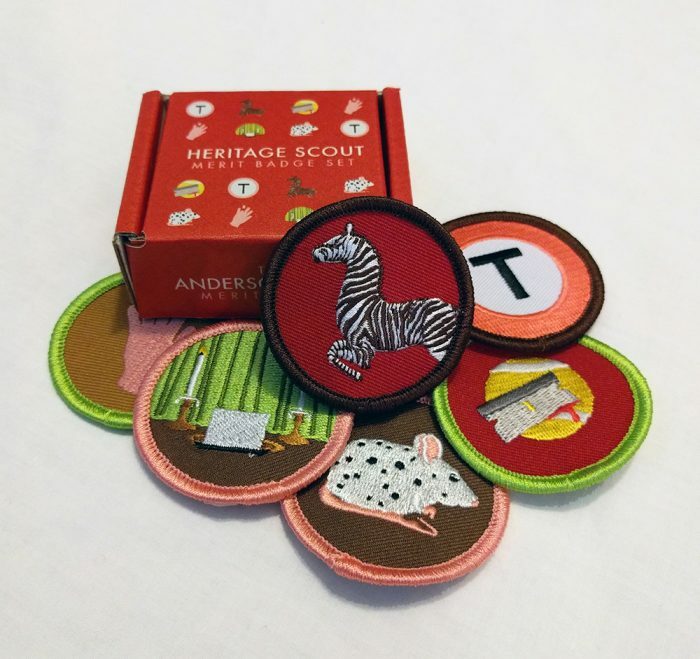 ANDERSON SCOUT- patch sets by Tracie Ching! 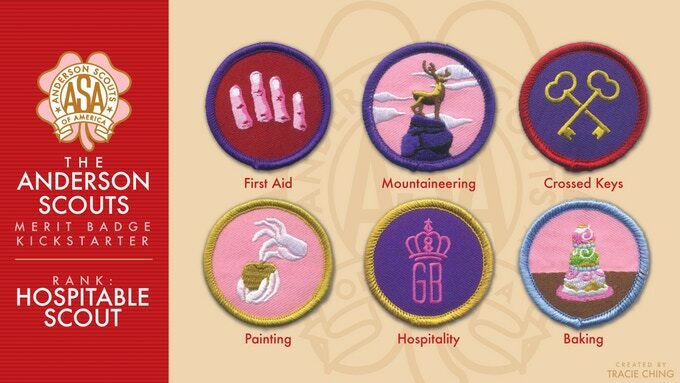 Tracie’s Ching’s amazing ANDERSON SCOUT patches are now available to the Nakatomi Nation! Purchase HERE in the Pins/Patches section of the Nakatomi store! 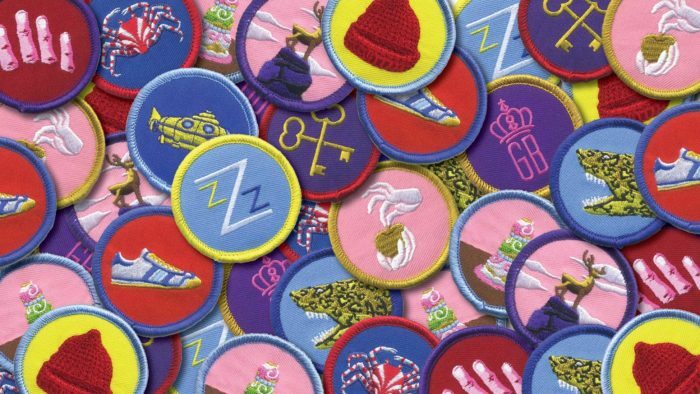 These fully embroidered patches are inspired by the films of Wes Anderson (specifically, The Life Aquatic, The Grand Budapest Hotel, The Royal Tenenbaums, and Moonrise Kingdom). 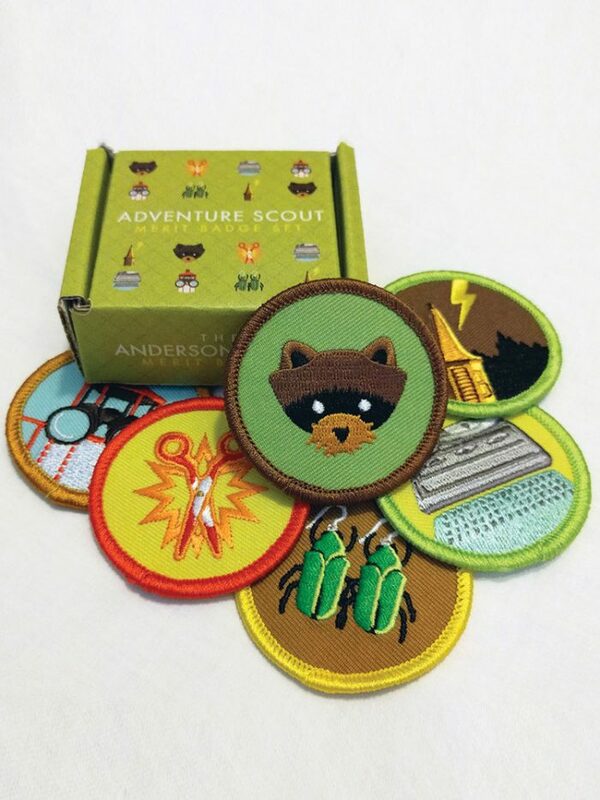 Each patch measures 1.75″ in diameter, and has a adhesive backing so you can iron them onto your favorite jacket, backpack, or merit badge sash! 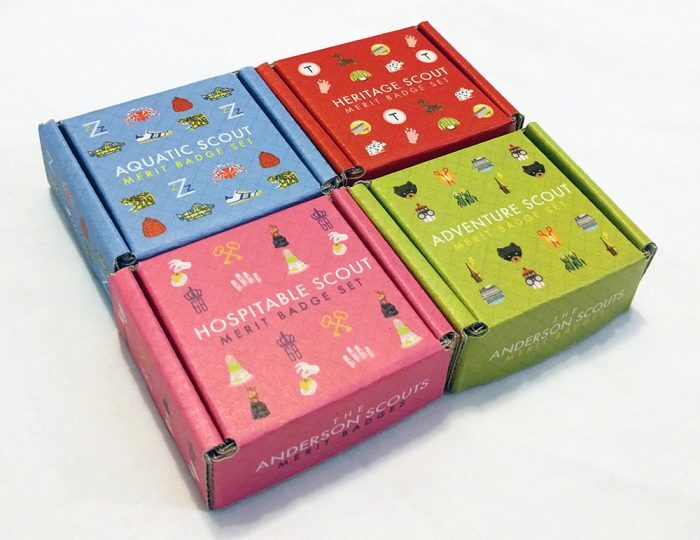 All 4 sets come packed into a custom printed cardboard collector’s box! 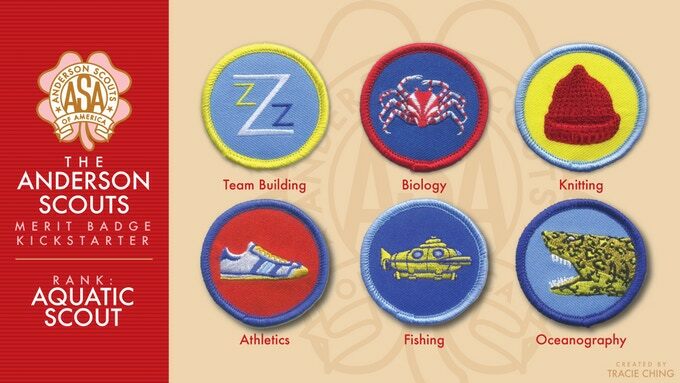 Originally exclusive to Tracie’s hit Kickstarter campaign, you can now have these patches to proclaim your accomplishments to the world! In hand and ready for immediate shipment. Available as individual sets, or pick up all 4 sets at once! ← Metallica x Wrightson now available!